To monetize my blog I would go with the Google Adsense one, specifically the pay per click advertisement. 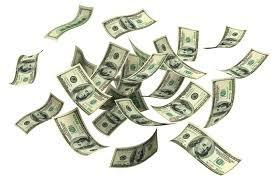 I think that is a great way to collect revenue especially if my blog gets a lot of traffic. I think this would work best for me as a blogger because I would not have to pay anything, instead I would be the one to get paid. I would like for companies that relate to my topic to be advertised on my blog. Anything that has to do with the my content would be acceptable. I also like the idea of the ads appearing as banners on the side rather than pop ups. I don’t think my readers would be too distracted or get annoyed by the ads. 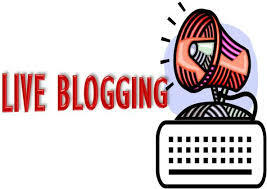 I may even consider guest posting for a corporate blog or income generating website. When a blogger is anonymous I definitely think that I would feel some type of disconnect from the writer. I wouldn’t feel as close to the writer like I would if the blogger’s identity was known. I would like to know who is writing the material that I am reading or put a face to the words. It is always nice to know who or what a person is about. I think that would also make me enjoy the blog more. It would be really difficult to form some type of relationship with the blogger or get attached if I didn’t know the identity of the person. It also has a lot to do with the content as well. Depending on what the blog is about I don’t think knowing the identity is that important. In a weird way I think that not knowing the identity would drive me to read the blog often with the hopes of the blogger one day saying who he or she really is. I am the type of person that once I need or want to know something I have to find out or it will eat me up inside. I think joining a blog network would be great for my blog. I do see the benefit of joining one. It leads to lots of exposure. 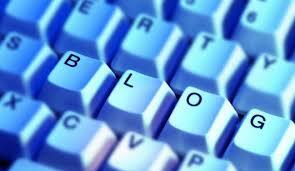 It will definitely help me attract more visitors to my blog. That will make me feel more pressured and motivated to update my blog. A blog network that my blog would mesh well with would have to be about children of course. It would have to have other blogs that are similar to mine. I actually did a little research and found one, kidbloggernetwork.com. From viewing it I can see that it allows you to get support and encourages you to join. The bloggers would support one another within by giving me feedback and things like that. As we all know blogging is not one of the easiest things to do. Especially when it comes to connecting with your audience and keeping them engaged. The two articles, “Research reveals popularity of live blogging” by Roy Greenslade and “The dangers of unverified content & tips living blogging disasters” by Katy Torgovnikov opened my eyes to how beneficial it can be but also what to look out for while doing it. Apparently, live blogging is one of the most effective ways to get people to participate in your blog. The numbers that it is doing over the typical “online article” blog are ridiculous. I mean that in a good way. The first article pointed out that live blogs are getting 300% more views. One of the reasons being because they provide more of a breaking news aspects rather than summarizing. Live blog sessions can last up to several hours at a time. It is a fast pace process that keeps writers on their toes. It is very easy to get caught up in the idea of live blogging and how great it is. Many participants do not realize that the information may not be very factual. The information that is being received is not so reliable because of the fact that the writer is doing continuos posting. Therefore he/she may not have time to check if the information they are putting out is accurate. The crazy part about all of this is that the reader doesn’t really care too much about that. According the article “readers feel that live blogs are less opinionated and ‘more factual’ than traditional articles written with care after an event”. I found that difficult to understand because it seems so backwards. Wouldn’t you think a post that someone can spend more time on is more factual? Readers enjoy the idea of live blogging more because it is happening in front of their very eyes. People love the idea of being involved with something or watching it happen. Live blogging gives an audience the chance “to follow the unfolding of a story on a single page and can see how it develops “. I personally think it is great because many people can become connected and discuss one topic. Although, it does get a little tricky when it comes to using hashtags. One thing that the article “The dangers of unverified content & tips living blogging disasters” mentioned to do is to create a hashtag that is significant to your audience. There have been plenty of cases where common hashtags have been used but are not related to the same live blog feed. With hashtags you also have to be mindful that it will generate repetition. I know that when I am on twitter and I see the same thing over and over again it can be pretty annoying. As a writer you should be mindful of that and how it may happen impact your readers. I really like the idea of live blogging specifically because it can keep you updated and because it happens at a fast pace. When any type of breaking news happens it is easy to get connected to what is going on. Miller, Joshua. “Messaging App Yik Yak Causing Bullying Concerns at Some Schools.” Fox News. FOX News Network, 28 Apr. 2014. Web. 10 Nov. 2014. This particular annotated bib is special because it shows how apps are being used to be hurtful and bully people. From my research I see that it is very common in middle and high schools for bullying to occur. With social media outlets like Yik Yak there isn’t any telling what can happen or who can get hurt. Anonymity is being used more negatively each and everyday. Now I am not saying that Yik Yak is a bad applications but in the wrong hands it is. This article proves my point. It may be useful in my essay. I am not 100 percent sure if I m going to use it yet. Zhuo, Julie. “Where Anonymity Breeds Contempt.” The New York Times. The New York Times, 29 Nov. 2010. Web. 3 Nov. 2014. This article from the New York Times focus on how anonymity is not positive. It goes into detail about how people troll and take things way too far. For, example in the article a girl committed suicide and people went onto her memorial website and started trolling on there opting horrible comments. People feel as though they can act tis way because no one can do anything to catch them. They are not being help accountable for their actions. What is gong on is very wrong and a serious matter. The article also goes on to speak about how websites are trying to create a feature that allows the comment to go to the moderator before it can be posted. This article seems to very very useful because it provides great examples to back up my topic. This takes place 100 years from now. It will be a globalized world. In the community, we will provide them an iPad and install them where they can see what is going on. Deep within the Amazon jungle, there is a community of 50 indigenous people. The community consists of tribe and the blog will talk about each tribe in that community. The community is very simplistic. They use the resources they have to sustain life. To gather food, they would hunt and fish. Also, they use herbal medicines to treat themselves with diseases. We’re going to start a blog to raise awareness of the community. In our blog, we will display topics of the different aspects in their life such as religion, social dynamics, food, health, language, and clothing. For example, in religion we will talk about their daily worships to their gods. In the health section, we will talk about the herbal medicines they use to treat themselves if they have any discomforts. Each tribe speaks different languages. On the blog, we will have a history of their language. Also, in order for communication to take place we will have a page where we will educate our language to one or two people and where they will teach us also. The 30 tactics to stay motivated seem like they will help a lot. I specifically seen some that will help me out more than others. I think that it is a good idea to create a blog ritual and to show up on my blog at the same time. It allows me to create a routine and be more organized with my posting. If I was to go somewhere and try to work on my blog I think I would get more done vs blogging in my dorm room. In addition to that the editorial calendar is a good idea to remain focus as well as the list of on-going topics. It will help way more than thinking of what I can write about for 15 minutes. The process will go by a lot more smoother with that list. I think that I might switch my blog up a bit by adding a video to it. I never really considered it before but I just might do it now that I have read it on the list. Collier, Anne. “The Pros and Cons of Online Anonymity.” The Christian Science Monitor. The Christian Science Monitor, 21 Aug. 2013. Web. 13 Oct. 2014. In this article it is discussing the pros and cons of anonymity. Since I am focusing on reasons to get rid of anonymous posting I pretty much focused on the cons. This gave five reasons as to why anonymous posting is bad, most of it was about bullying. It focused on a specific crowd that included elementary through high school kids. In comparison to my other bib they both generally speak about anonymity being a bad thing. On the other hand my last article focused more so on comments and this focused more so on the bullying aspect and how kids use different sites to be cruel. Also, the author of the new article refers to statistics to get some points across. I think this is going to useful in my paper because it touches on exactly the point that I am trying to get across. The fact that this article also includes positivity about anonymity might be the only reason that I may not use it but overall I think it is useful. I believe that it may be able to help me shape my argument because it is presenting people with statistics and when people see numbers and how things look on paper it changes their outlook. Manjoo, Farhad. “Anonymous Comments: Why We Need to Get Rid of Them Once and for All.” Slate Magazine. 9 Mar. 2011. Web. 5 Oct. 2014. <http://www.slate.com/articles/technology/technology/2011/03/troll_reveal_thyself.1.html&gt;. This source is speaking about how a writer feels about anonymity. The writer goes into detail and explains that if people are no longer allowed to comment anonymously it will reduce the number of negative comments. Even though some people do use certain sites such as Facebook and Twitter to verify who they really are they seem to still comment negative things. Overall it has dramatically shot down the amount of trolling on this website. One huge fear that people have about using their accounts to make comments is that their personal information will get hacked. That is completely false and will not happen. I think that this article is somewhat a good source and I may be able to use it in my paper because it gave me a better insight on how effective taking away anonymity is.